Bob Lefsetz brought the death of Levon Helm to his readers attention in this post on his blog/newsletter. Dug on YouTube and found this wonderful classic footage of Levon Helm with The Band performing live at The Syria Mosque, Pittsburgh, PA, on November 1st, 1970. The songs: Time to Kill, The Weight, This Wheel's on Fire and Up on Cripple Creek. Enjoy! As someone who notices when a music video has zero cuts and appreciates the fine art of making any video that way, really enjoyed Lights music video to her song entitled Second Go. It might rank up there as one of the greatest no-cut, one take music videos ever done. and... one of Lights most recent videos. 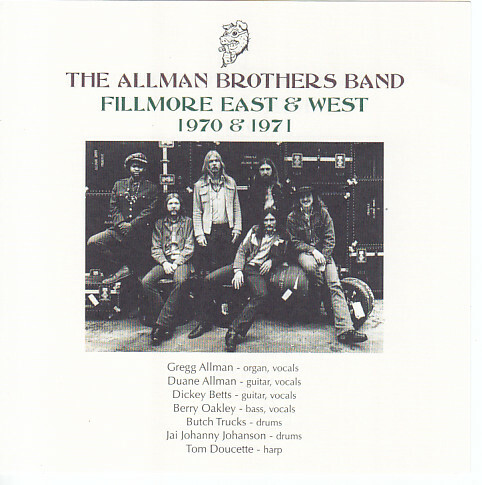 Here is a fantastic live recording of the original Allman Brothers Band performing their song titled Whipping Post, live at the Fillmore East, New York City on Sep 23, 1970. Turn it up, sit back and enjoy! Got a two hour massage and the therapist tried to play smooth jazz off of Pandora. I said "no thanks, can't stand elevator music or Muzak. Please punch in some music similar to Nneka". Nneka's track entitled The Uncomfortable Truth starts off the 2 hour set and after about 12 songs, up comes this song that stopped the session so the therapist could go look on the Pandora page to tell me what song was playing. This is it! A favorite song of mine from very first play. Dug up this unofficial video cut by a fan, for the artist, Jazmine Sullivan, has yet to cut an official video. And.... this song came on not long after Jazmine's song and stopped the massage once again to find out who it was. Was surprised to find it another great song by Adele of her album titled 19. I'd actually heard seen the official video once before, but the version we heard was a live one from a iTunes hosted "Live From Soho" performance. It sounded much different than the studio version from the record. In digging for a live version of Chasing Pavements, found this tasty live recording of Adele on the Tiny Desk Concert hosted by NPR where she performs three songs. She just sits, with no pomp or circumstance and simply deliver the goods with perfection. The first song, Someone Like You, seems like she lived through each line. She feels it. And, really love the second song, Chasing Pavements :) - And, Rolling in the Deep.... If you don't know that song, you must have been living in the forest without electricity last for the last year and a half. In my humble opinion, one who has no contempt, cannot and should not be considered a true rock star. A pop star perhaps, but not a rock star. So, kudos to Axl Rose for living up to it, being true and saying it like he sees it in this open letter to the Rock & Roll Hall of Fame. And, in my humble opinion, the Hall of Fame is lame. A artist or group does not even have to be excellent or even be a true rock star to be in the supposed Hall of Fame. It's a politically run institution that kisses the asses of industry insiders. So many REAL artists, REAL Rock Stars in fact, have been left out to make way for teen pop acts. That's what makes it so damned lame. There is one artist whose music really means something. Not only does the music groove for days and days, but this artist always says something important and it's usually heavy. Once again, very proud to feature a real global artist of substance, Nneka, as she talks about the Occupy Nigeria movement where she spent time on the ground in early 2012. Nneka's music consistently challenges the status quo of where corruption in government meets crony capitalism, as she stumps for the common country folk in her native homeland of the Niger Delta region of Africa. Some of her songs start off, and you think you are hearing a love song, to hear it evolve into a heavy geo-political statement. And, if you think, you go .... Wow. Think! The Wattstax music festival took place on August 20, 1972, at the Los Angeles Coliseum on the seven year anniversary of The Watts Riots. The festival was organized by the legendary Memphis record label, Stax Records. Tickets were priced at $1.00 each. Nearly the entire Stax artist/band roster performed at the festival. 100,000 people showed up for what was been dubbed by many as the "Black Woodstock". A documentary film entitled WATTSTAX was released in 1973. All of the music and speeches from social activists was beautiful captured. One performance which was added to the documentary was not shot at the concert itself, but from a church in the heart of Watts. The first time I heard this track, tears streamed from my eyes. This is the real deal, gospel that will take you there.... all the way. Enjoy! Bob Lefsetz, a leading music industry analyst, wrote a story the other day about the man behind this bubblegum pop group out of the U.K. and simultaneously calls it "the hottest act in the business today". I look up the group, One Direction, even though my connection was slow that day on the beach. And after finally hearing a few of their songs, could not help be be a bit sad about the fact that this could be considered "the hottest act in the business today" by someone as important as Lefsetz. 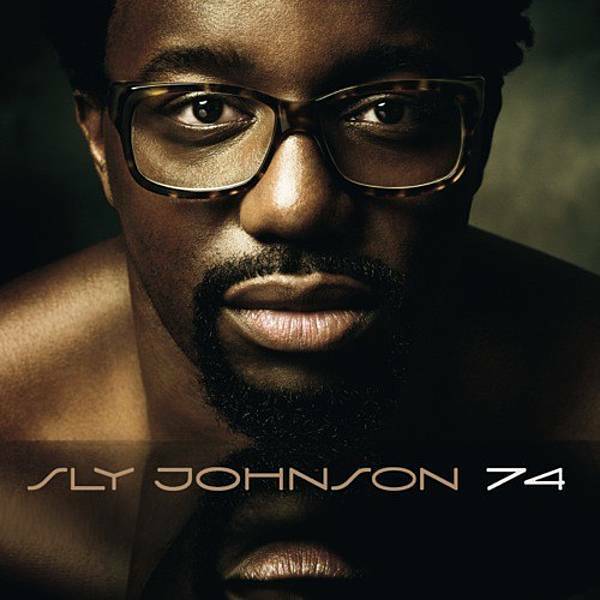 Sly Johnson, not to be confused with Syl Johnson, is a artist I learned about via my love for the music of Ayo. Ayo's vocals are featured on this Sly Johnson song titled I'm Calling You released by Universal Music's Decca Records division in France. And, just below is a follow up track of Sly Johnson in another live collaboration that is more in a Jazz/Hip Hop jam session with hints of early Al Jarreau. Regardless of those observations, watching this historic film footage and hearing the music from this festival is like entering some sort of funky soul heaven. Enjoy!